Growing your family and announcing your pregnancy is one of the most exciting times in your life! So why is the news of a third or fourth baby (or more) not greeted with the same enthusiasm as your first announcement? It should be a happy celebration EVERY time but for some reason that seems to dwindle after your first two kids. Why is that? 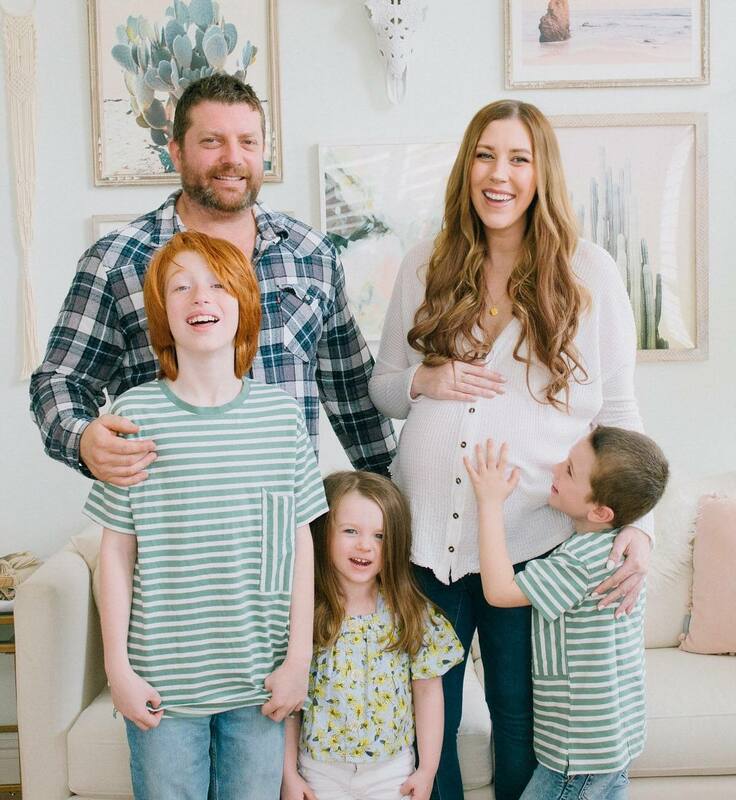 We’re expecting our fourth baby in the next few weeks and one thing I’ve noticed this pregnancy is how often people say “you’re having 4 kids, you’re crazy!” followed by jokes and laughs or “You guys are nuts, how are you going to manage four kids?”. We will manage just fine!? Everyone knows what they can handle…some people want no kids, some want one or two or six! We decided four was right for us and we know we can handle it. What’s wrong with more love in our home? Why is this announcement not met with the same happy and congratulatory response as our other kids? We are so excited to be adding a new member to our big family. We aren’t nervous or worried about having a fourth and we’re unbelievably excited so it stings a little to hear that response when we share our happy news with other people. I almost find myself bracing for it and sadly agreeing “yeah, I know, it’s crazy” even though I don’t actually feel that way. I just don’t even know how to respond to that reaction. Throughout this pregnancy this topic has been weighing on my heart and I hope by sharing my words it can help another mama going through the same thing. Maybe you’re guilty of saying this to expecting parents and didn’t even realize how much it hurts us to hear. So the next time someone tells you they’re pregnant with their third, fourth or fifth (plus) child give them a big smile and tell them how excited and happy you are for them. It’ll mean the world!